It’s not perfect, I have to say. They’ve gone for an obviously Red Bull-inspired matte paint job which looks fantastic in certain light, and slightly underwhelming in others – in fact, in the main studio shots, it actually looks like a slightly dull gold, reminiscent of the earlier variant of the ’96 Jordan. And they haven’t really introduced anything in the way of design to it, except for the hexagonal shapes that were already on the black version. But in the launch photos (hopefully more representative of how it’ll look in the wild, especially under the lights of Singapore) it does look rather more striking; and aside from anything else, the simple fact is that this is a bright and colourful livery that’s unlike anything else on the grid, and for that we have to applaud it. And while it’s not as good as the 2010 Renault, at least the Total logo isn’t in red this time. The question is, did they always intend to do this? And if so, why did they bother with that black version (which I’d actually argue, in and of itself, is a smarter livery – but simply couldn’t be allowed to stand given the number of other dark cars around this season) in the first place? Given that they’ve gone for the matte look, I can’t help but feel that this is a reaction to how things have gone since they launched the first version, and the underwhelming reaction they initially got, rather than something that was always on the cards. After declaring that its bold colours were a sign of a bigger push to do things differently in 2016, its F1 chief Cyril Abiteboul has revealed that it is evaluating some radical steps with the looks of its car over the season. Speaking about the motivation for the new yellow livery, Abiteboul told Motorsport.com: “We want to create a little bit of a talking point and buzz, so expect to see that sort of thing to be played with. “The car is a fantastic platform. It is a billboard and I am just surprised that people don’t play more with it. Abiteboul said that Renault felt it important to move away from the corporate grey and black colours that had been adopted by rival teams, as he suggested rivals were not making the most of opportunities. 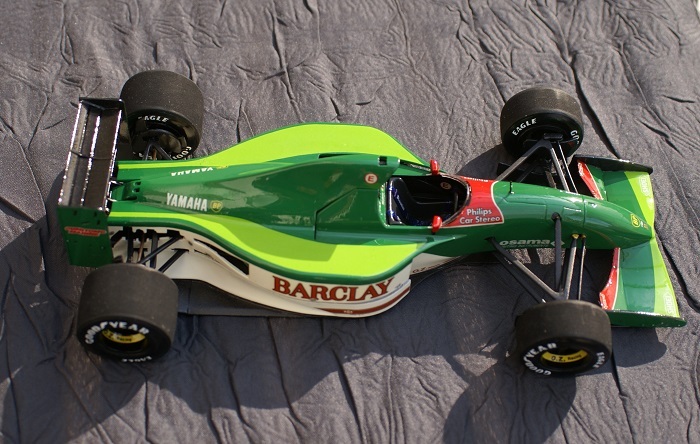 “Frankly F1 cars are ugly,” he said. “I am ashamed by what we are doing. When asked why he felt liveries were so dull now, Abiteboul said: “I think it is because everyone wants to tell a story about being premium. And if you want to be premium, the obvious thing to do is to be on the dark grey-ish side. “Plus you have the teams that will obviously be dark grey or silver like Mercedes and McLaren. So that is already two. And there are a number of teams that want to do the same. 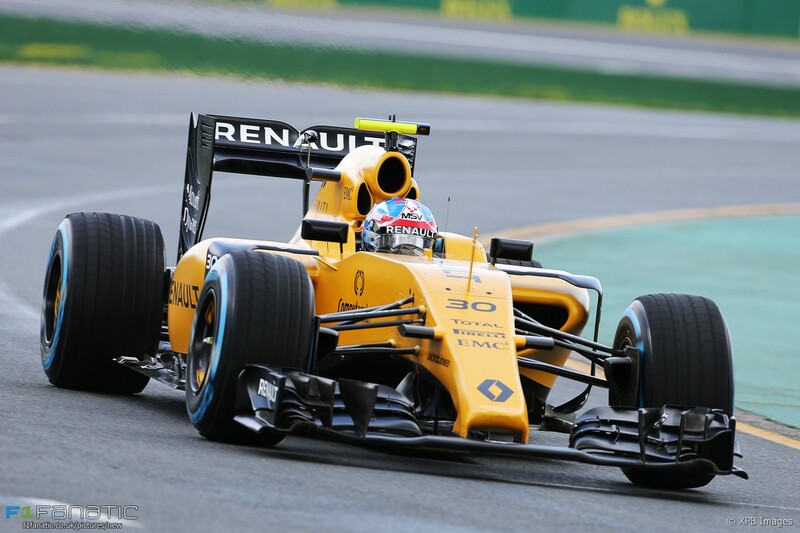 Abiteboul suggested that tweaks to Renault’s colours could come as early as the Bahrain Grand Prix, because the team was still working out how well the matte yellow it has chosen works on television and in images. “It might happen as soon as race two because we are not 100% sure yet of the reaction and how it looks under different lights,” he said. “Adjustment is something that we are allowed to think on. But we would want to do more. We couldn’t agree more, Cyril. And now that we have all the liveries, we can do our delayed 2016 roundup (including the Toro Rosso, which – er – we haven’t mentioned because they never really unveiled it, just started running with it in testing one day and it was basically exactly the same as before, right? ), so look out for that hopefully before qualifying starts on Saturday morning. Hopefully. Interestingly, that other famous yellow team of yore, Jordan, had a similar idea, about changing the snake/hornet/etc. decals depending on the fortune of the team. I think at one point they even had the idea of changing them between qualifying and the race, depending on their performance in qualifying (so if they were on pole, the animal would look victorious and if they were at the back it would look sad etc). But it never panned out. Jordan in 2004 also had those “messages from Bahrain” on the engine cover that changed every race. I hope that Renault can actually do something cool with this concept this time. As much as I love the new livery I wish they’d kept the overalls mainly black like they previously were as they looked a lot better. I’m also not a fan of the matte as it makes it look like a more mustardy shade of yellow as opposed to the brighter 2010 shade. Now that is an excellent statement, and despite the livery itself feeling a bit dull, I wish to see more of them and commend them for sticking to it! Speaking of Jordan, anyone ever seen this Jordan’s 1992 launch livery, pre-Sasol sponsorship deal? In the launch pictures, it looks “perfect yellow” but in the “render pictures”, it looks too much “light yellow”.